The tradition by which Italian towns and families reenact their own versions of the nativity scene is a very ancient one. The Italian nativity scene often includes not only the traditional characters, but also various aspects of village life including the ancient crafts and trades, recreating an entire Christmas village of times gone. 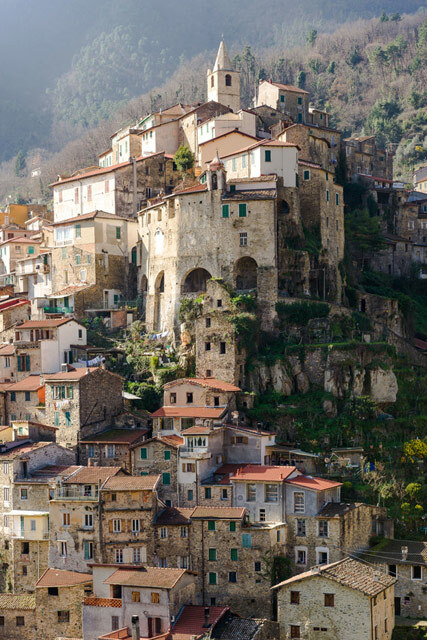 Some Italian real-life towns, because of their characteristic lay-out or the fairy-tale atmosphere they exude when they light up and glow at night, look exactly like these miniature Christmas villages that are so popular in Italy. Below is a list of these città presepe, which offer an out-of-this-world sight of typical little Italian Nativity scenes, covered by snow or clinging to rock pinnacles. 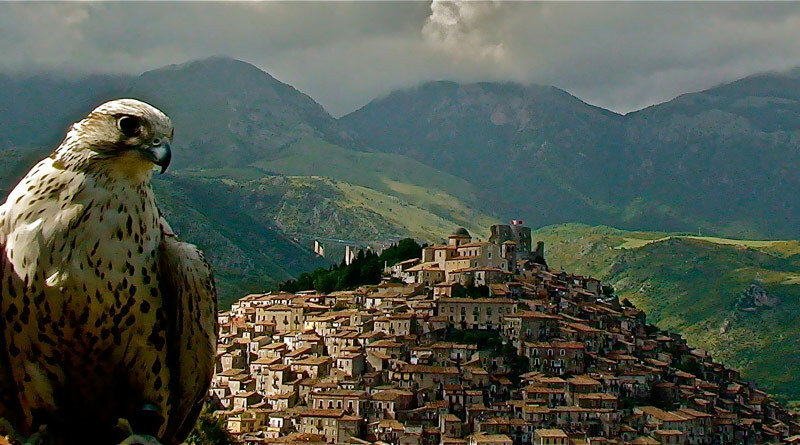 Pesche is an enchanting little village perfectly set in the center of Monte San Marco, in a particular area of the Molisian province of Isernia, called Le Peschie (or area of ​​the stones). It looks so much like a real-life presepe that the local annual presepi exhibition, which features nativity scenes throughout the village, is referred to as presepi nel presepe. 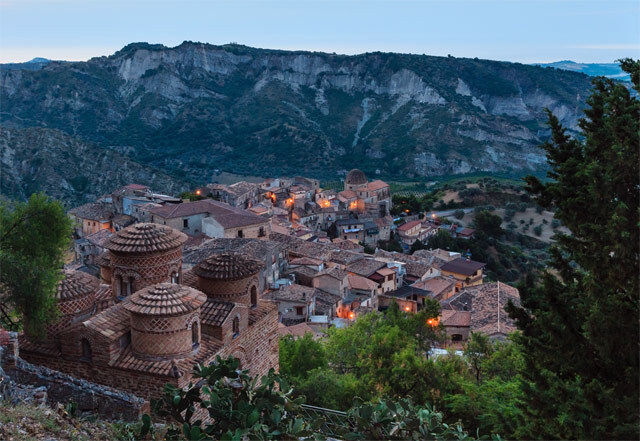 Nestled among the rock pinnacles of the Dolomiti Lucane, Castelmezzano derives its name (middle castle) from the fact that its Norman castle was situated halfway between the two strongholds of Pietrapertosa and Brindisi di Montagna. It were the Saracen invasions which forced the local population to move from the valley to this more remote location in the 10th century AD. 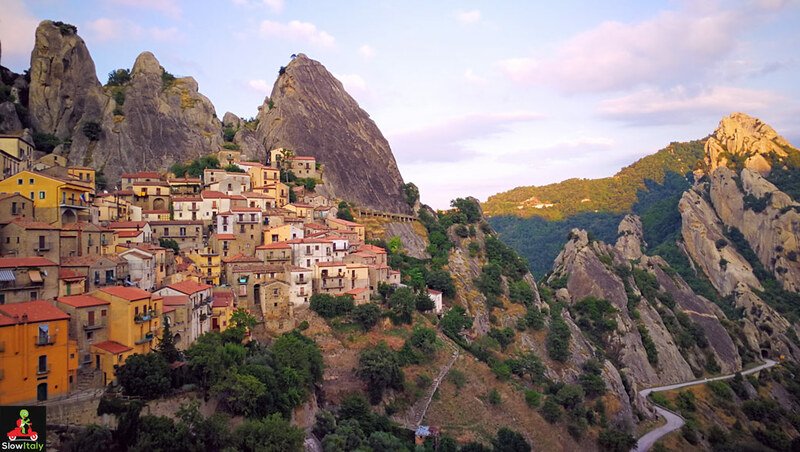 Apart from being a fairy tale villages, Castelmezzano is also famous for its Volo dell’Angelo, one of the longest and fastest ziplines in the world, connecting Castelmezzano to another village nestled in the rocks on the other side of the valley, Pietrapertosa. 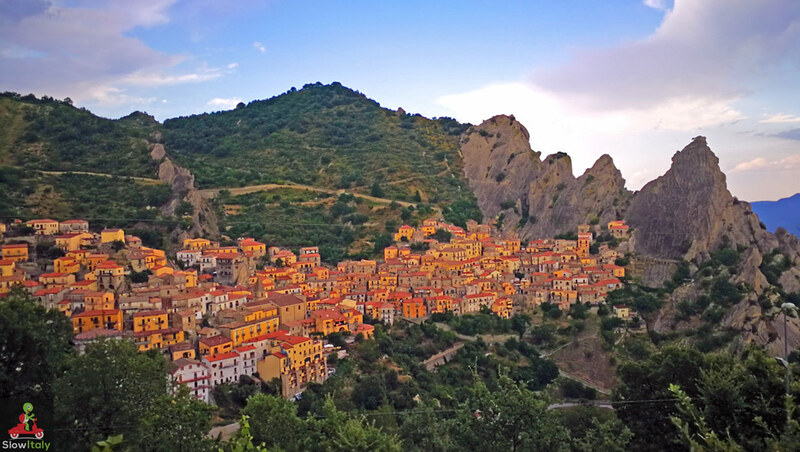 Strategically positioned in the high valley of the Coscile River, within the Parco nazionale del Pollino, lies the beautiful medieval village of Morano Calabro. In the Middle Ages the village was an important location on the Roman consular Regio-Capuam Way, being the only access to Calabria from the mainland. The village is congregated into three districts, around the castle and the most important churches, which, through the centuries spread down the hill, within a system of fortified walls. Caltabellotta enjoys a fabulous position within the province of Agrigento. 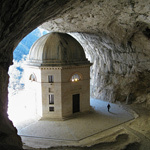 Located at 900m above sea level, surrounded by rock pinnacles, the site exudes mystery and magic. 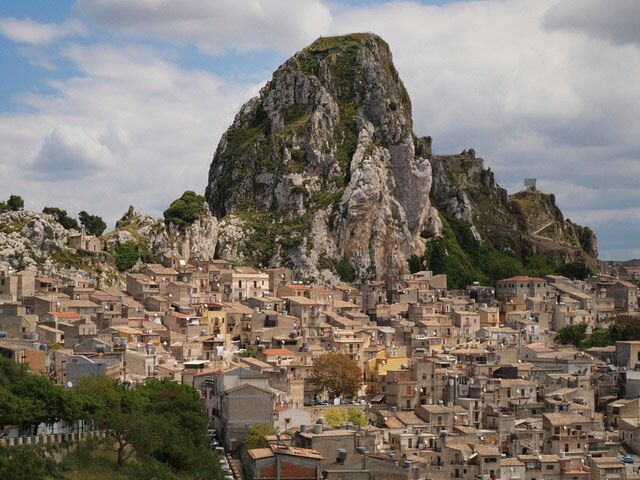 The ancient town of the Sicanians, one of three ancient peoples of Sicily at the time of Phoenician and Greek colonization, derives its name from the Arab word “Qal’at-al-ballut”, meaning “fortress of oak trees”. 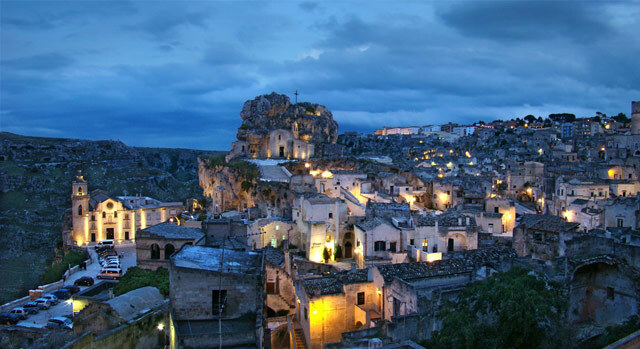 During the Christmas season, the town looks like a typical Italian nativity village, due to its characteristic conglomeration of houses under the fortress and also because the area of ​​prehistoric tombs becomes the site of a traditional “living nativity scene” in which all inhabitants participate. 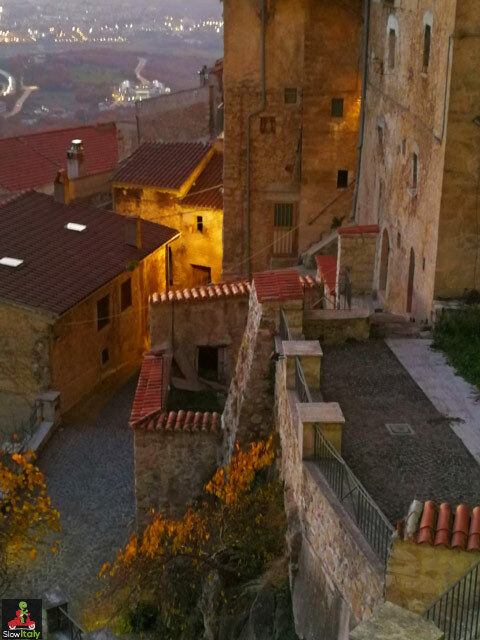 Known as Castelvecchio during the Middle Ages, the village of Castel di Tora has preserved its medieval castle and typical urban layout with its stone houses and small squares and streets. Ceriana is lovely medieval hamlet built on the ruins of a Roman fort “Castrum Coelianae”, in the hinterland of San Remo in Liguria. The village has preserved nearly the same shape since the 11th and 12th centuries, with its labyrinth of concentric streets, portals and passages. The surreal town of Civita di Bagnoregio, in the Province of Viterbo, can be reached only by crossing a pedestrian bridge over the valley. 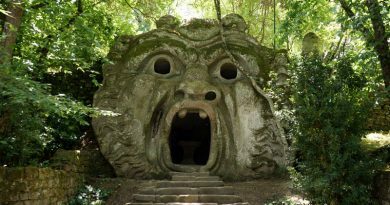 Founded by the Etruscans over 2,500 years ago it has remained largely unaltered, due to its relative isolation. Perched on top of a rock of tufa stone, which edges are slowly slipping away due to erosion, the town is in constant danger of destruction, reason why it came to be known as il paese che muore, the dying town of Civita di Bagnoregio. A devastating earthquake in the late 17th century left it a virtual ghost town that now mainly survives thanks to tourism. Read more: Civita di Bagnoregio. Corciano is a quaint walled village, located halfway between Perugia and Lake Trasimeno. 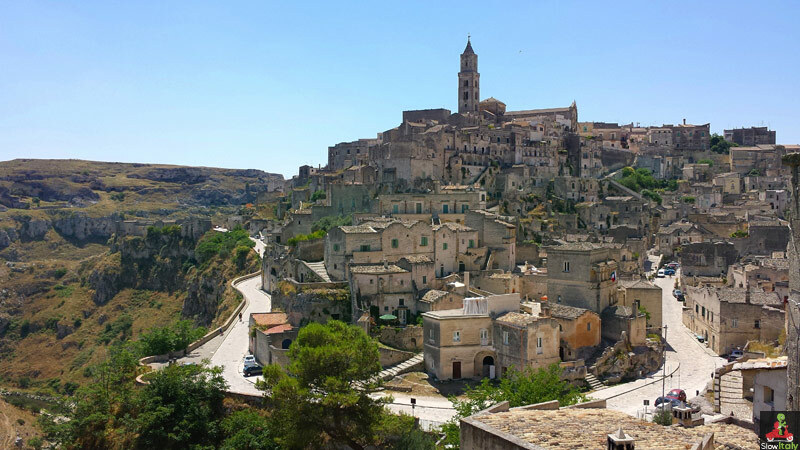 Legend has it that the hilltop town was founded by the Trojan nobleman Coragino, the mythical companion of Ulysses, after the destruction of Troy. The walled historic center oozes medieval atmosphere from every corner and offers beautiful views over the verdant Umbrian countryside. 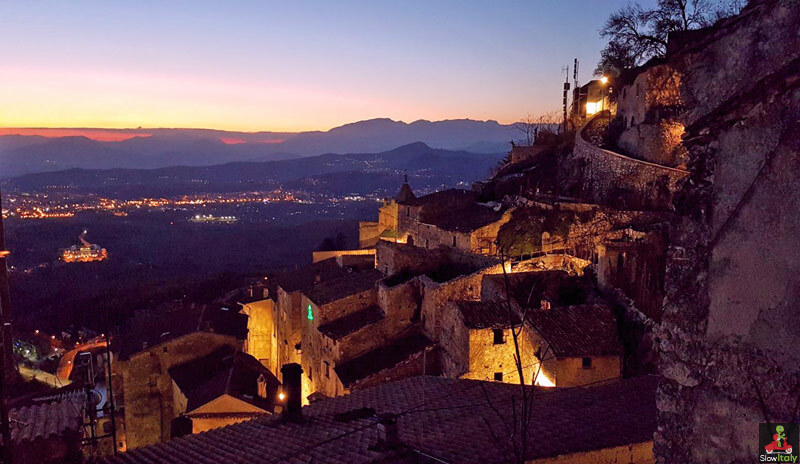 Read more: 8 lovely hilltop villages in Umbria. One of the five scenic villages of the Ligurian Riviera, commonly known as the Cinque Terre, connected by breathtaking (literally and figuratively!) hiking trails crosssing vineyards and olive groves. 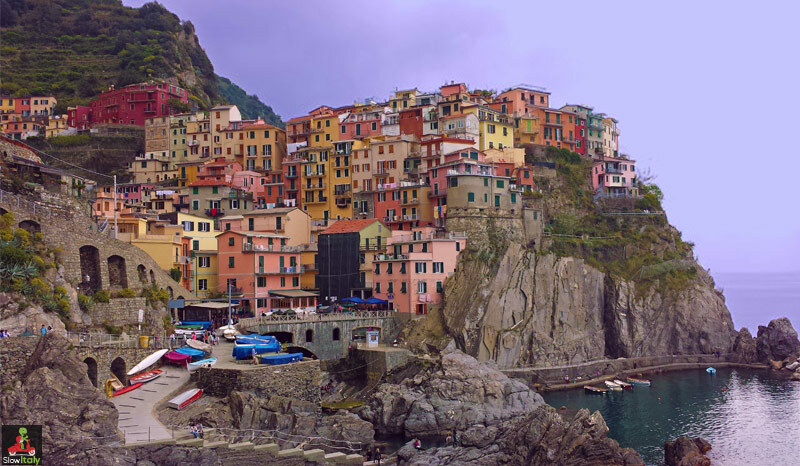 Manarola lies at the start of one of the most famous and spectacular walking trails, the Via dell’Amore (Lover’s Walk). The charm and rustic beauty of this small fishermen village has attracted many artists among whom the Italian painter Renato Birolli (who gave the main street its name). 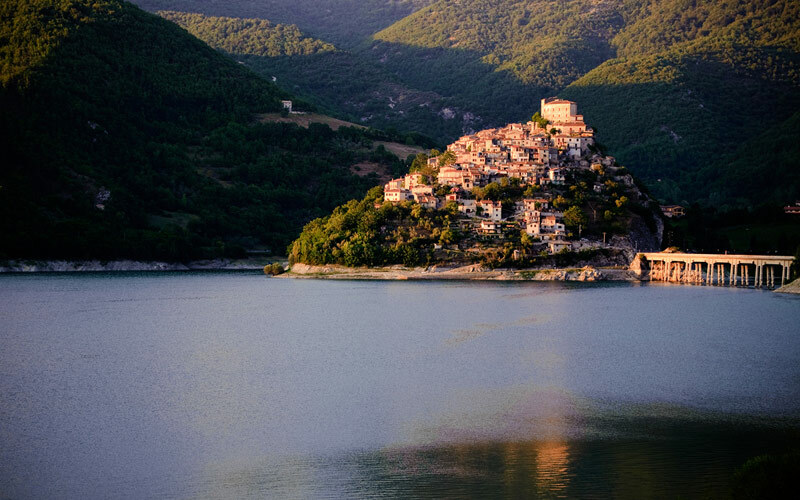 Clinging to the slopes of Mount Consolino, Stilo offers the astounding view of a Byzantine church (one of the most unique churches of Italy) dating from the 7th-9th centuries. The church displays features commonly seen in Armenia, Georgia and Anatolia and testifies to the “Byzantisation” of the Italian peninsula, through the military campaigns of reconquest conducted by Constantinople. 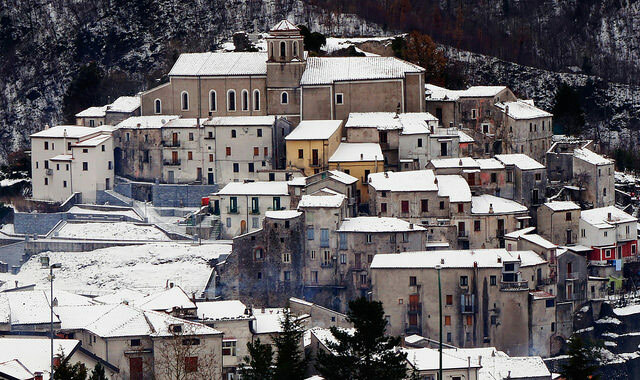 Lagonegro is a small medieval town in the Valle del Noce, Basilicata, set on the slope of Mount Sirino. The town is renowned for its traditional production of clocks, especially tower clocks. The comune of Lagonegro includes Lake Remmo, also known as Lago Laudemio, a glacial lake situated at 1525 meters above sea level, making it the southernmost glacial lake in Italy. According to a persistant, though improbable legend, Lisa Gherardini, the subject of Mona Lisa, died in Lagonegro in 1506 during a stay in Lucania while her husband was in Calabria for business. According to the same legend she was buried in the Saint Nicholas cathedral. Photo credits: Featured image Morano Calabro © Stefano Contin; Pesche (2 photos) © Slow Italy; Castelmezzano (2 photos) © Slow Italy; Morano Calabro © Stefano Contin; Caltabellotta by Maman voyage; Castel di Tora. Photo © Pindo D’Amico; Ceriana © Fabio Lotti; Civita di Bagnoregio by Bert Kaufmann; Corciano © Ladiras/Istockphoto; Matera © Slow Italy; Matera blue hour by Tango7174; Manarola © Slow Italy; Stilo, cropped from photo © J-wildman/Istockphoto; Photo © eudibi.